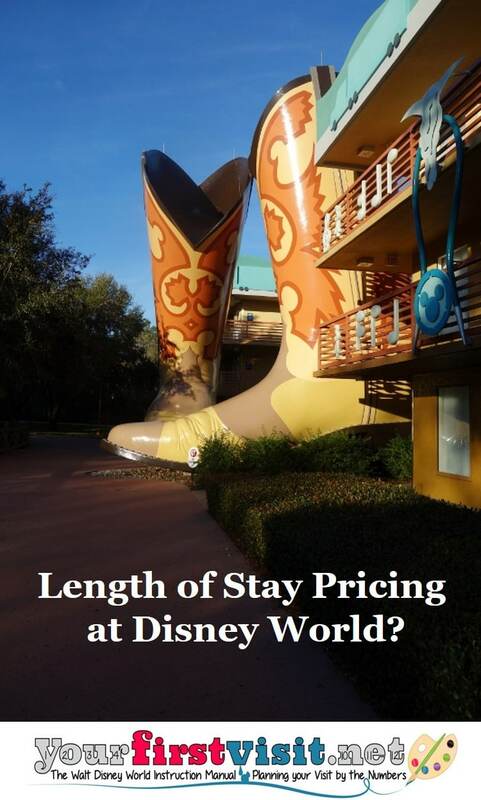 Length of Stay Pricing at the Disney World Resorts? Earlier this year Disney World announced that parking at its hotels would no longer be free for reservations booked after March 20, 2018. Only slightly less controversial than that whole poenitentia vs. metanoia thing among Luther, Erasmus, and the Catholic Church, no explanation for it has been offered other than such a parking charge is common practice. So this is the post on that thought. What it boils down to is that if Disney institutes length of stay discounts, it would need to make a big one-time increase in room rates to keep its overall revenue whole. The increases from parking revenue could be used to offset some of that price increase. Bob Iger noted about a year ago opportunities he saw to expand length of stay at the Walt Disney World hotels. One way to expand length of stay is through pricing mechanisms that reward longer stays. Such a pricing mechanism can be as simple as giving a discount off of what would otherwise be a hotel’s rates in return for booking a stay of a certain length. This is in effect what Universal does—it has its set of prices per night, but then takes a certain amount off of what would otherwise be the total if you book certain stay targets. 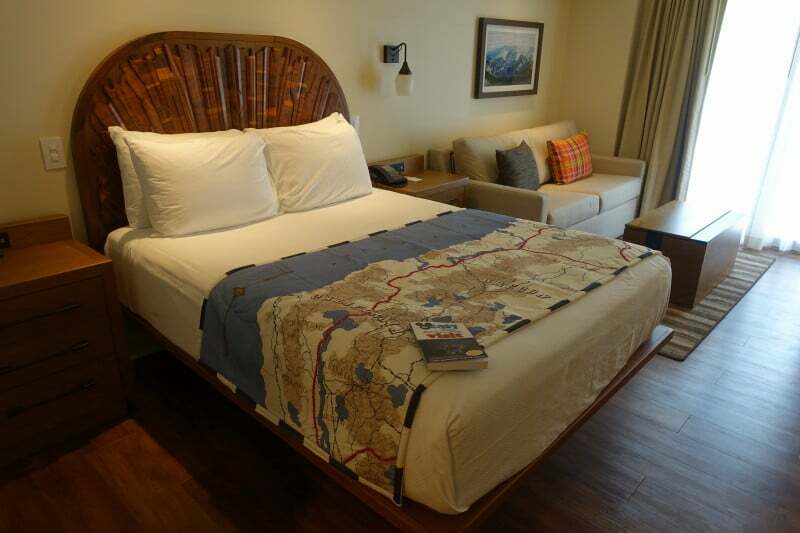 See the image—for example, on its far right, you’ll note that a seven night stay can be as much as 35% off what would otherwise be the sum of the nightly prices. That’s a big discount, in effect almost two and a half free nights (35% of seven nights= 2.45 nights). Length of stay pricing can be meant to build a hotel’s occupancy—that is, add room nights—or to shift the current set of room nights to a group that has on average a longer length of stay. If a hotel has plenty of rooms available and not many “typical” bookings already at the stay lengths at which the discounts kick in, then the goal would be to add room nights. High discounts might be accepted to do so, as little revenue would be lost from the few guests who already would have booked longer than the “typical” stay, and the new revenue from the extra nights would largely drop to the bottom line, since the variable costs of an extra night in a room are pretty low. 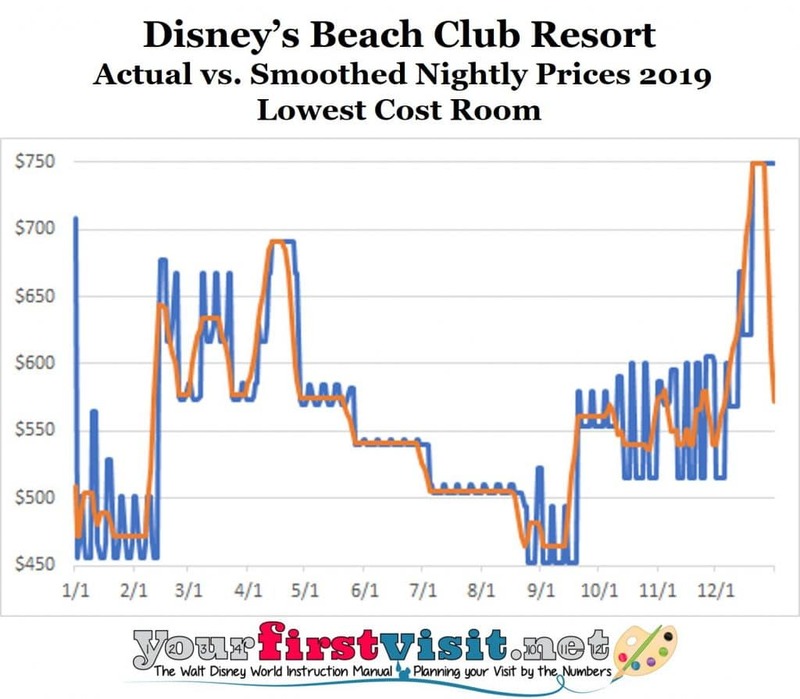 Length of stay pricing in already well-occupied hotels—as the Disney hotels are, recently reporting yet another quarter of occupancy in the 90% range—has a very different and more complicated dynamic. Here you have different goals than increasing occupancy (because you have so little room to do so) and much less flexibility in discounting longer stays (because you are discounting many room nights that you could have sold at their regular rates). The goal instead might be to convert the same number of room nights from shorter to longer stays, as longer stays are typically more profitable (as they spread the one-time costs of a single booking/check-in/check-out over more nights). Or, if there is a value difference between shorter and longer stays not already captured in pricing, the goal might also be to use length of stay pricing to price shorter stays higher to extract more of the value they create. For example, Disney might be expecting Star Wars: Galaxy’s Edge, expected to open in the last quarter of 2019, to increase the demand for shorter stays from those guests coming to experience only it. A one-time price increase for the base set of undiscounted prices, so that revenue stays whole over most trip lengths. This last point is the key one, so let me illustrate it with an example. 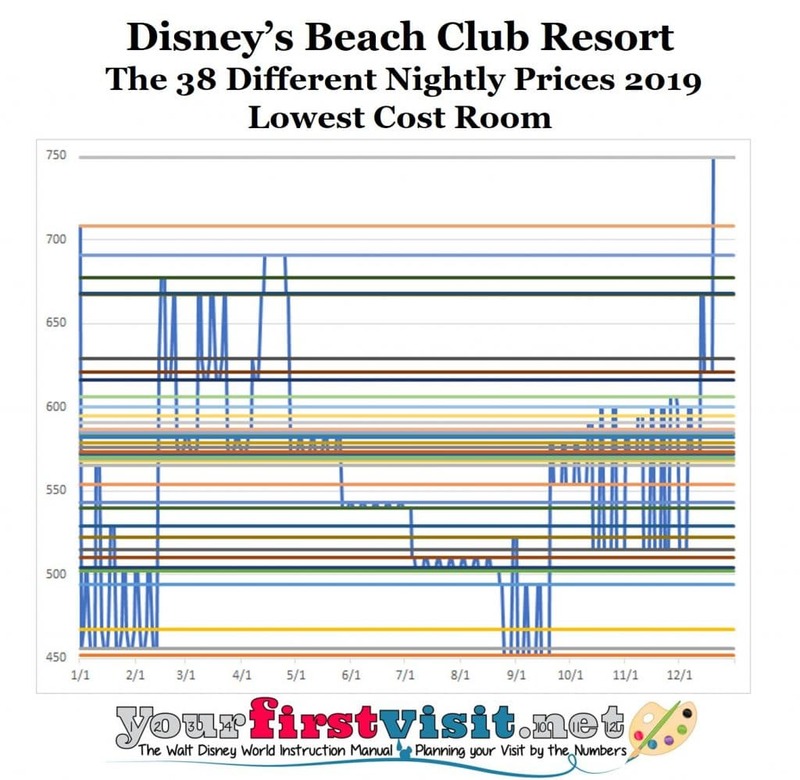 Let’s say Disney offers 10% off the total price of a room that would before the one-time price increase average $250 a night (in this example, thus a moderate), beginning with a six night stay. To keep the same $1,500 revenue over the stay, average pre-discount prices would need to go up in a one-time price increase by 11% (the formula is 1/(1-discount percentage) – 1). * At a new price $278 a night, a 10% discount off the new total of $1,668 would yield the same initial $1,500 revenue. In other words, when the hotels are essentially full and the goal is simply to lengthen average length of stay, you don’t want to give up revenue to do so—otherwise you simply lose money on the extensions. 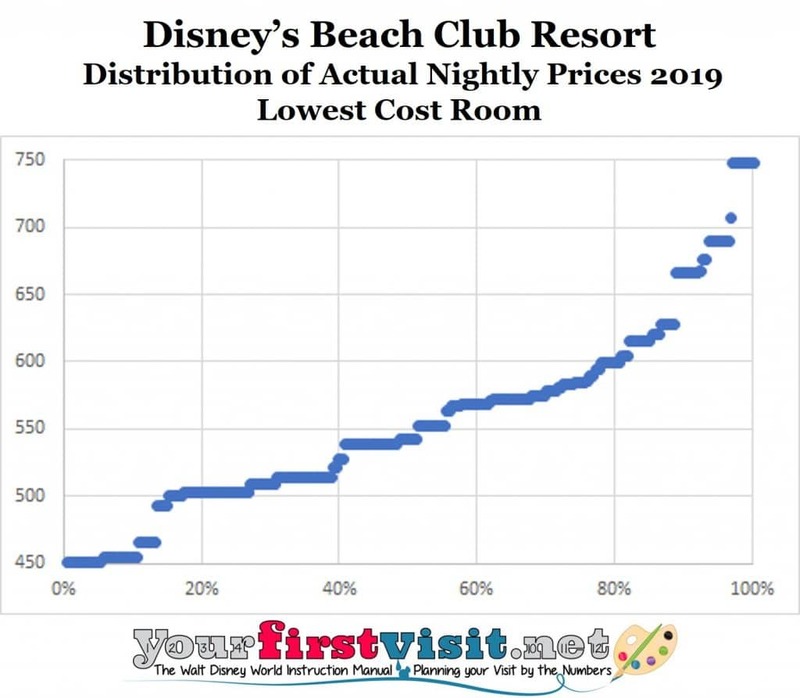 Disney World usually announces its new hotel prices for the coming year in the summer, and while it varies across hotels, room types, and times of the year, prices commonly go up 4%+. If it used its summer 2018 pricing announcement to include for 2019 both typical price increases and also a one-time price increase meant to keep it whole after length of stay discounts, then in my example undiscounted prices would go up ~15%. That’s a pretty big number—a headline grabbing number. How could Disney avoid some of those headlines? Well, one way to do it would be to institute a one-time price increase for something else related to the hotels, and use the revenue from it to offset the needed hotel room price increase. Like parking. Note that there are other ways to incent longer lengths of stay. For example, since both shorter and longer Disney World stays tend to include weekends, Disney could make the price difference between weekends and weekdays even sharper than it already is. 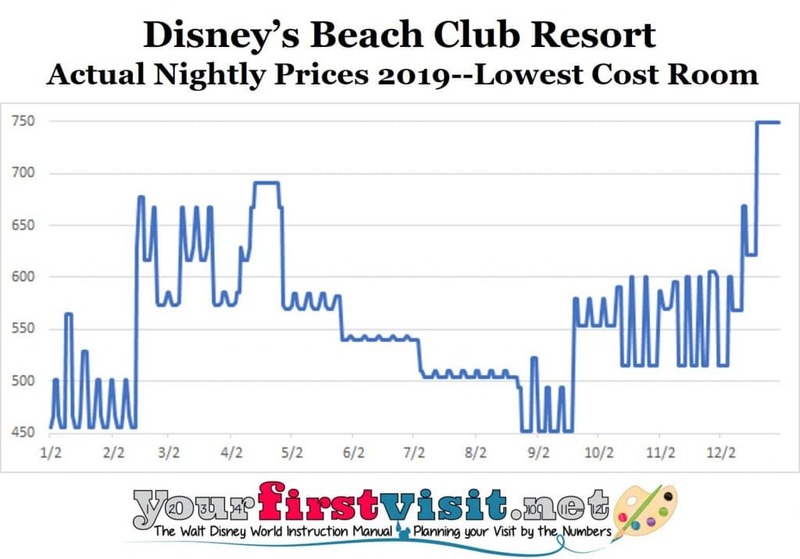 For some time now, many, but not all, Disney World resorts have had higher prices on Friday and Saturday nights during many, but not all, price seasons. 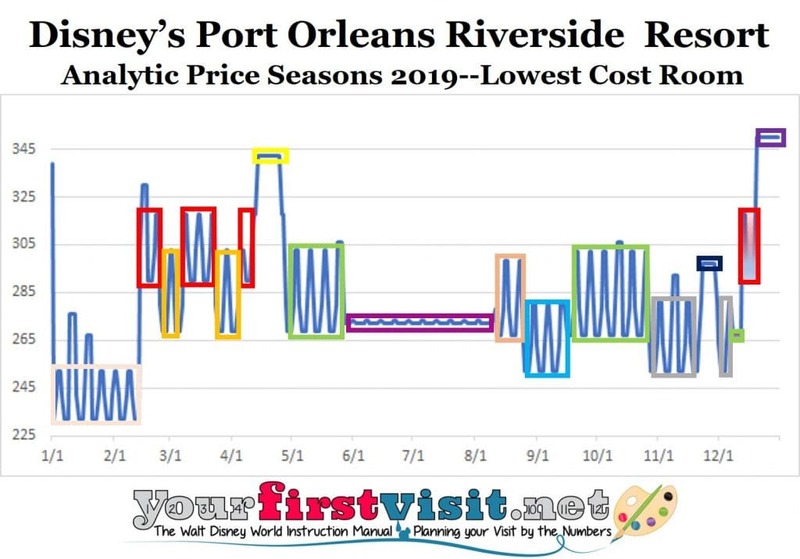 And for the 2018 pricing year (released not long after Iger’s comments noted above) Disney also made Sunday and/or Thursday prices higher than the rest of its weekday prices at some resorts during some price seasons (gory details here). Continuing this approach with even sharper differences between higher and lower priced nights would certainly either dis-incent and/or capture more value from shorter trips that include these higher priced nights. I’m not sure, though, that sharper differences would have much effect on lengthening stays, as—at least now—Disney does not inform you of the cost of adding a room night. *The increase actually needs to be less than this, as those on shorter stays pay its full value. But for me to estimate how much less, I’d need data on the distribution of bookings by length of stay, which I don’t have, so I am ignoring this issue. 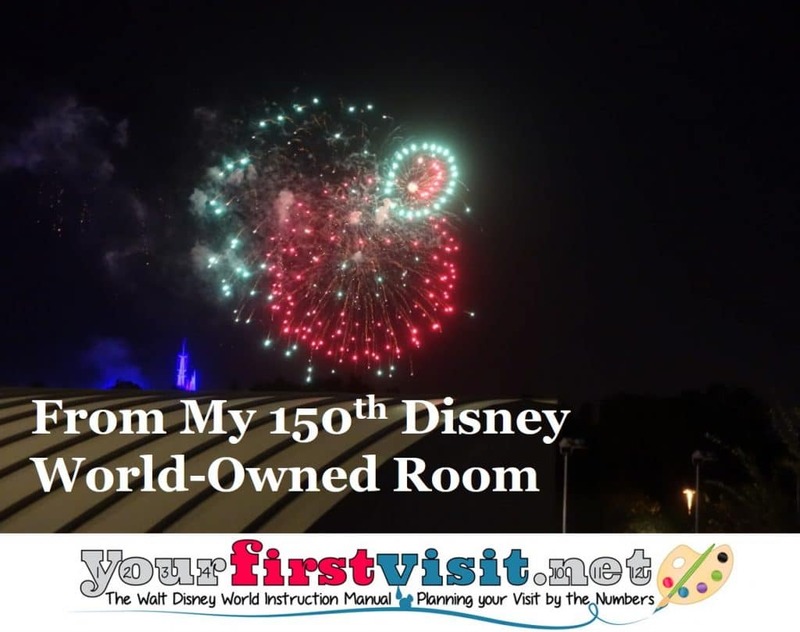 In November, when I checked out of my Studio at Bay Lake Tower, I completed my 150th different stay in (and review of) a Disney World owned room, studio, villa, suite, cabin, or campsite. Anyone can ride all the rides. But most who write about Disney World have not stayed in all the hotels–not even close. I’ve stayed in them all, and in every major room variant, multiple times–and recently. From my 2017 Pop Century stays. From my 2017 Yacht Club stays. 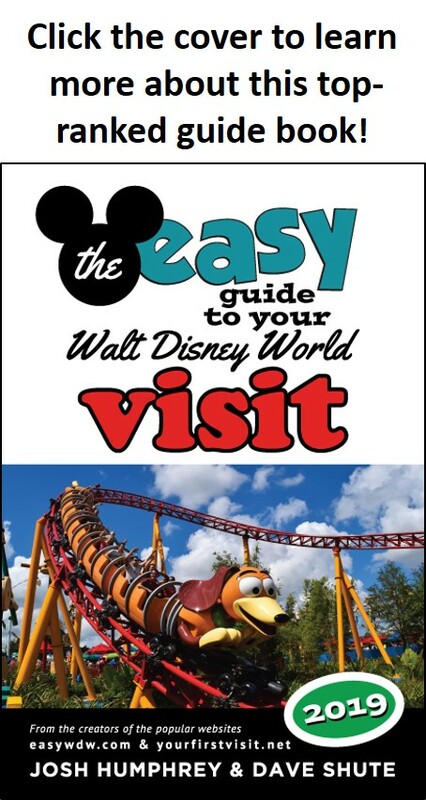 This experience matters because universally the weakest part of most Disney World guidebooks and websites is their material on where to stay, and that weakness what I am trying to avoid. From my 2017 Copper Creek stays. One person staying repeatedly in all the rooms and in all their major variants (e.g. 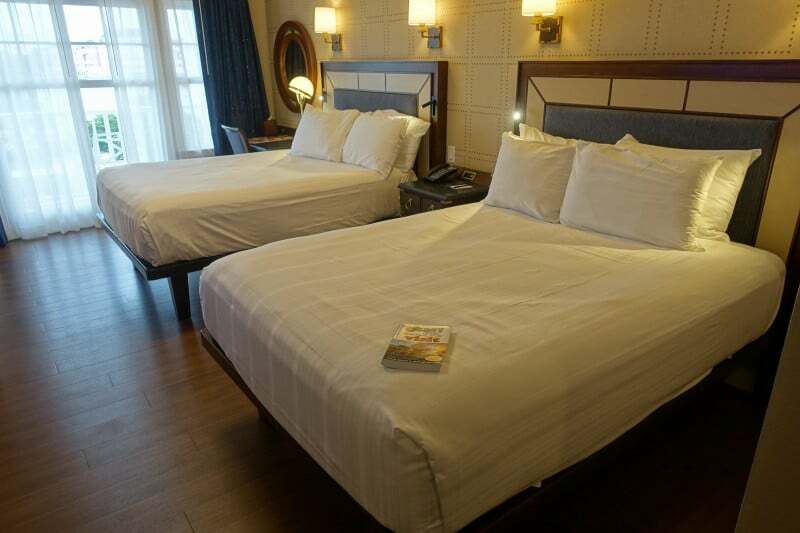 at Port Orleans Riverside not only standard rooms, but also five-person rooms, and Royal rooms) is the only way to develop a complete, consistent, up-to-date and accurate picture of the hotel options and their strong and weak points. Reading and copying other people’s experiences just won’t cut it, and those whose approach depends on this routinely publish howlers and generally get too many facts or judgements wrong. I can think of one site (whose owner has very little actual Disney World experience) that claimed that Fort Wilderness is a monorail resort, and that the Contemporary is one of the least expensive deluxe resorts! From my 2017 Caribbean Beach stay. 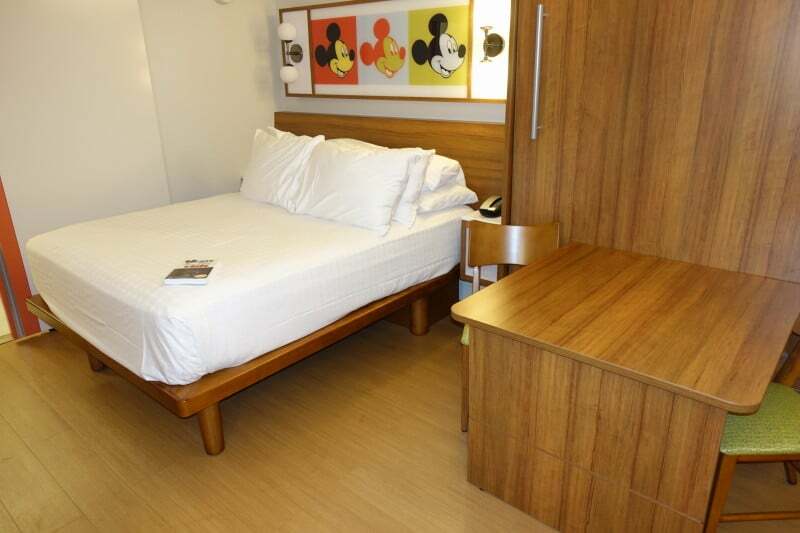 Consistently good and up to date material on the Disney hotel options is sadly rare, because it takes major, multi-year commitments of time and money. Luckily, I have been able to create the time, and you, because of your support of the book, your patronage of the site’s various sponsors (like Kelly B and The Official Ticket Center), and your interest in the ads on this site, create the money that in turn I spend trying to keep this hotel material great and up to date. For links to my reviews of all the Disney World-owned hotels, see this. 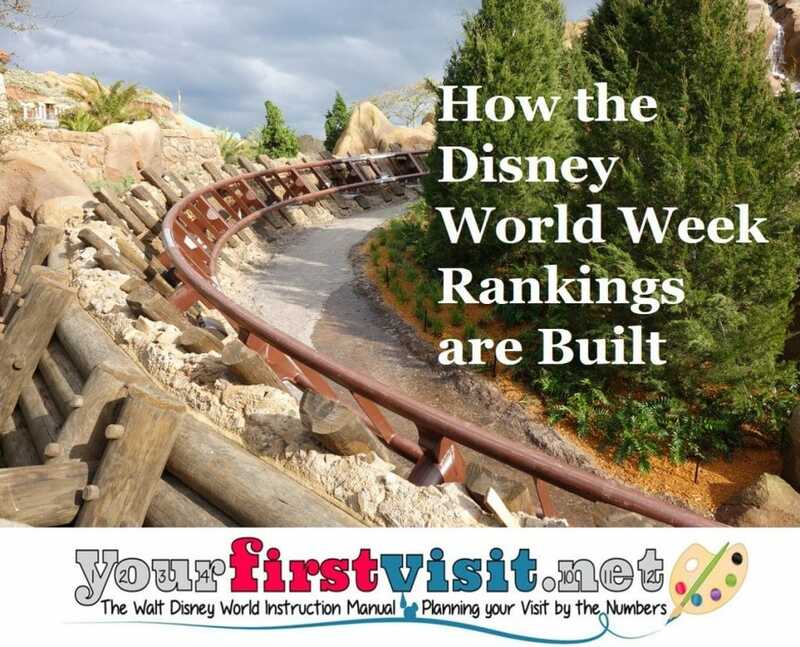 I rank the weeks of the year for first time visitors to Disney World who might not be able to ever return to Disney World on this site—the 2017 Disney World week rankings are here, 2018 Disney World week rankings here, and draft 2019 Disney World week rankings are here. These rankings are meant to guide first timers who can never return towards better weeks, and away from bad weeks. They incorporate crowds and prices, as you might expect. But because they are meant for people who might be able to make only one visit, they also particularly downgrade the weeks of January and early February when rides are more commonly closed for refurb, and also view skeptically the weeks when the hurricane season is at its peak. Both of these periods contain good weeks for returning visitors who might care less about these risks. So for this reason, I both include the crowd and price data in the chart, and also mark in green at the far right edge of the chart weeks that are good for returning visitors. 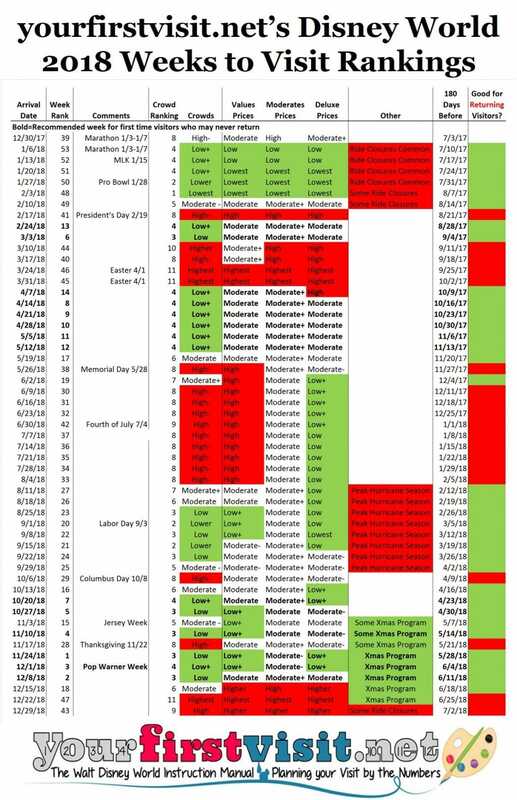 That way returning visitors can use the chart to pick their weeks, too—or they can simply focus on my crowd forecasts and price information. 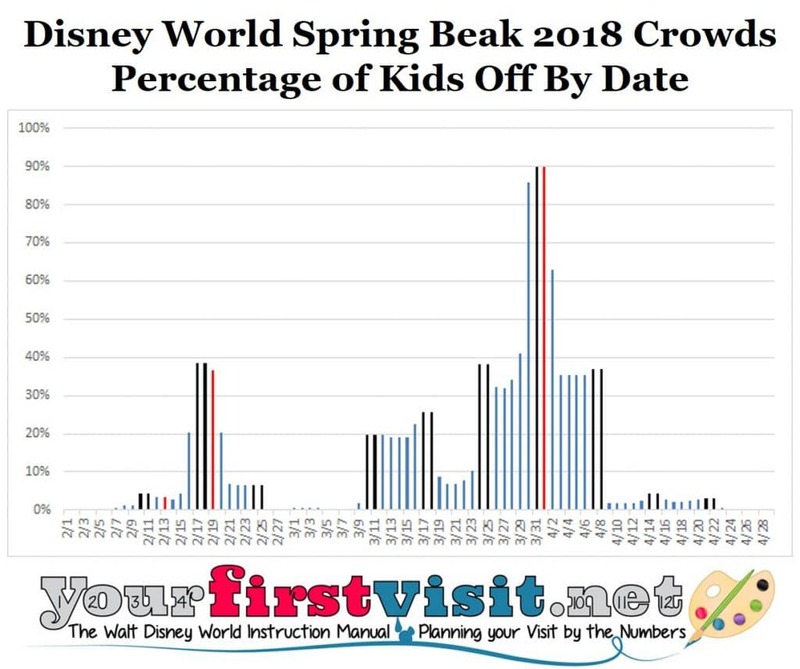 Disney World crowd forecasts for 2017 are here, 2018 here, and draft crowd forecasts for 2019 are here. Disney World resort pricing for 2017 is here, for 2018 is here, and draft price forecasts for 2019 are here. Besides deprecating the ride closure and peak of the hurricane seasons, I also promote the lower-crowd part of the Christmas season, because it is such a magical time at Disney World. So with that as the background, here’s the technical approach I take to ranking the weeks of the year for first time visitors. In every grouping, including these weeks, higher crowd weeks get the worst ranking, and within equivalent crowd rankings, higher prices break the ties. 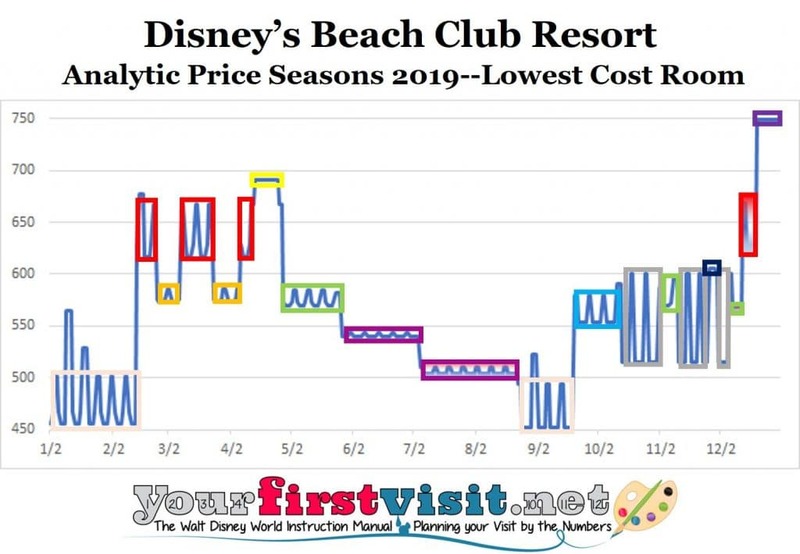 This involves a bit of judgment, as the deluxes work to a different price seasons than the other resorts from July into the fall, and the moderates don’t show as much price variation over the year as the other price classes do. So if you are committed to a certain resort type, note also the price levels of your resort type among these weeks. Next to be ranked are all the remaining higher crowd weeks, with the worst rankings going to the highest crowds, and ties sorted by prices. This leaves a group of moderate and lower crowd weeks of various prices that are in neither the ride closure season nor the peak of the hurricane season. The moderate crowd weeks get ranked by crowds the prices, in the usual fashion. The rankings are fundamentally based on crowd forecasts and actual or forecast prices. The crowd forecasts are based on my actual experience—I’m in the parks 30-60 days a year over six to ten visits. 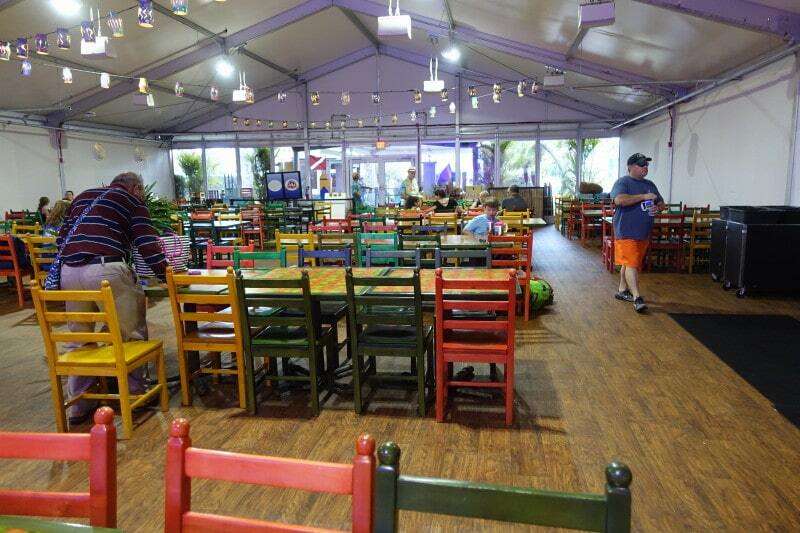 I went in January for the Pro Bowl events at Disney World (and still haven’t written about them…) but did also see again the Disney After Hours event, and covered the new Festival of The Arts and the refurbed rooms at the Dolphin and Kidani Village. 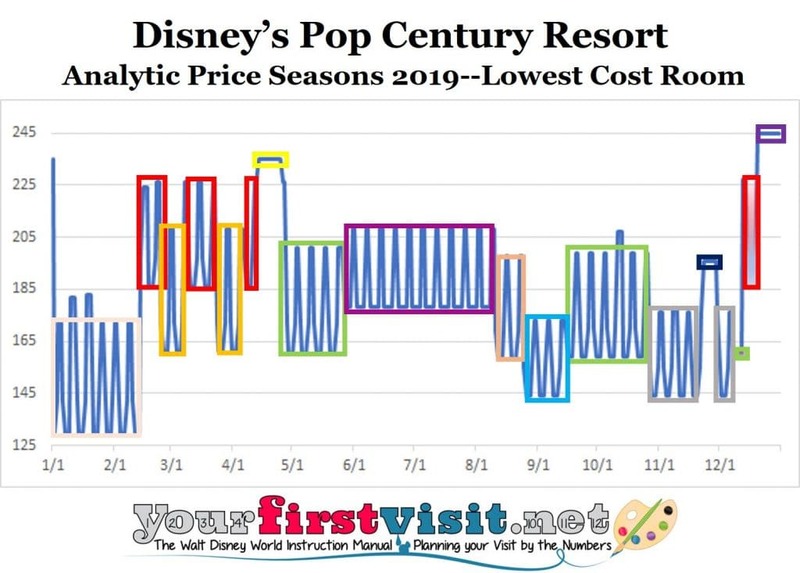 The prices are based on actuals for 2017 and 2018, and on forecasts based on recent Disney practice for 2019. I’ll be revising the 2019 rankings as necessary after the actual 2019 prices come out, likely in the summer of 2018, and based on a full analysis of 2018-2019 school year breaks, also in the summer of 2018 (too many districts don’t publish their calendars for the upcoming school year until May or June for me to do this earlier). So that’s how the week rankings are built! 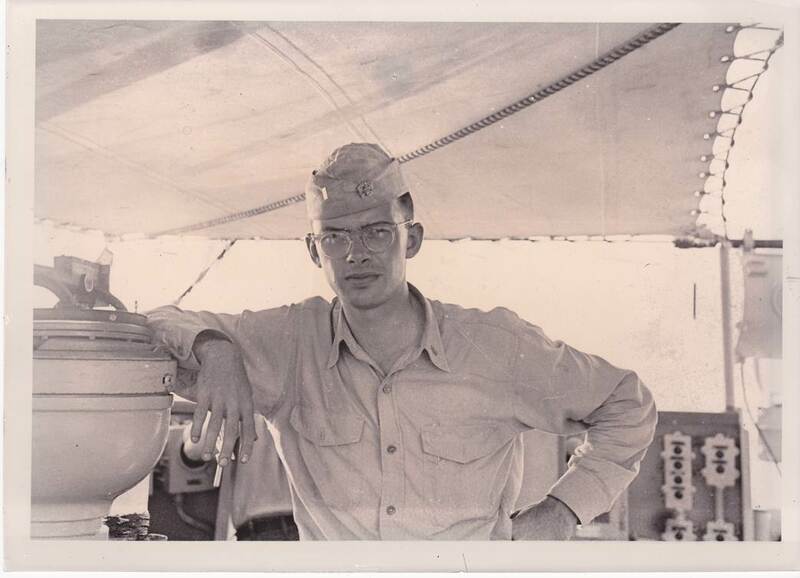 Just a note that I’ll be quiet here for a while, as my Dad–to whom I owe everything–passed away yesterday. 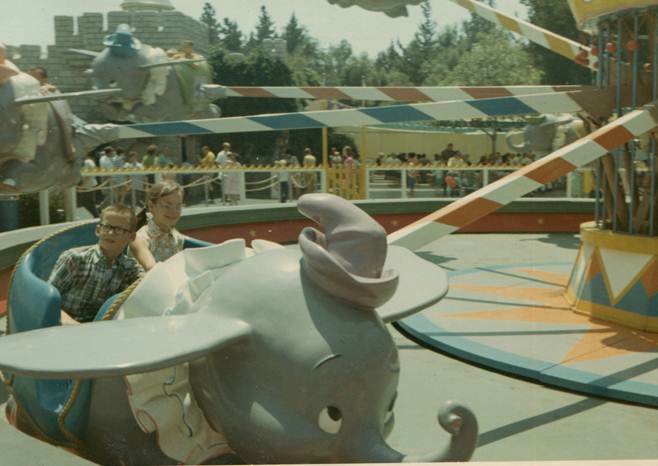 …and he’s behind the camera–as he usually was–in this shot of my sister and me at Disneyland. We were with him when he died. I will keep up with the comments as best I can, but may be a little slower than usual. And other than the “Next Week at Disney World” and “Fridays with Jim Korkis” series, I won’t be posting much on the site for a couple of weeks.